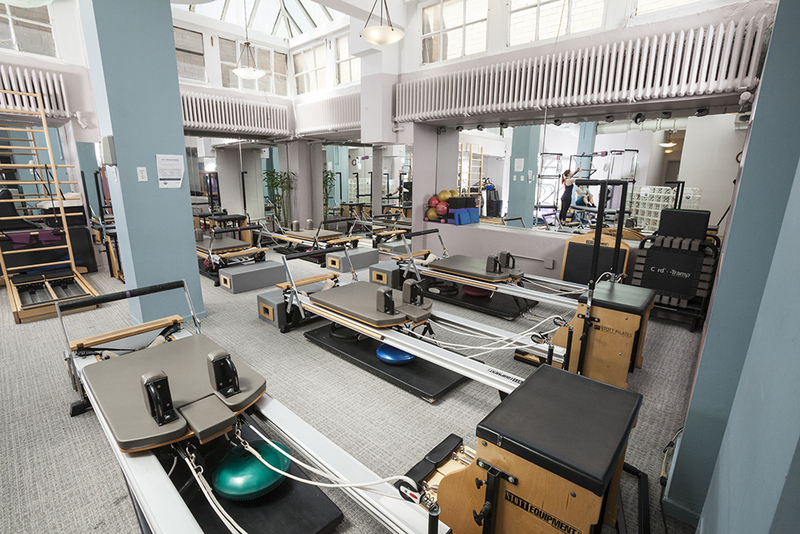 Unique to Pilates on Fifth, the fluidity of the Reformer meets the power of the Chair. Want to get toned and sculpted inside and out? Then take the 55 minute Pilates Reformer & Chair class utilizing the Pilates universal Reformer and the Pilates chair (sometimes called the “Wunda Chair” and featured in the Malibu Pilates infomercial). This class tones every major muscle group as well as the abs and core musculature while paying special attention to proper execution, biomechanics, alignment and symmetry so that you leave the class feeling rejuvenated, balanced and energized! Most classes are open level, but call ahead to make your appointment! Prior Pilates equipment experience is recommended but not mandatory if you are willing to go with the flow and learn the equipment.